Yes are probably one of the most famous and important groups of progressive rock music history. Their career is full of successes and records that have literally changed the concept of "music", Close To the Edge, Drama, from 90125 to Fragile. We had the honor to have a chat with them (especially with Geoff Downes, keyboardist of the band), talking about the past, present and future of the group, projects and aspirations, inspirations and dreams of a band that, in effect, is immortal. R&MIMB: You are, we can say, one of the greatest Prog Rock bands on earth. How can a band go further after all these years? Geoff Downes: I think the reason the band has lasted so many years is because it continues to break new boundaries. It will continue to do so in the future I am sure. R&MIMB: Do you think the public, in 2016, can still connect with the kind of "cerebral" music Prog Rock is? Geoff Downes: Of late, there has been a resurgence of interest in Prog Music. I believe it is because it is very musician-based, and there has been so much reality TV music, people want the real deal. R&MIMB: What record of your career do you feel more connected to and why? Geoff Downes: Of course, Video Killed The Radio Star is hugely important to me as it was my first taste of success, and set me on a course for all of my other bands and projects. R&MIMB: Is there an album that you are not fully satisfied with? Geoff Downes: I believe at the time you finish an album, you have given it your best shot and made the decisions you thought were the right ones. So no, I don't regret making any of the albums I have been involved with. R&MIMB: Will there be a new album? If there is, can you give us some details or anticipations about it? Geoff Downes: I am fairly confident there will be another album at some stage, although the touring schedule has been very intense for the last few years. When there is a reasonable break from this, it will probably be the time we can apply ourselves to some new music. R&MIMB: Where do you take inspiration to compose your music? Geoff Downes: There is no formula here. The ideas just tend to land on you, sometimes unexpectedly, and get developed from that point. R&MIMB: Which members (and how) contribute to the sound and the drafting of the material for the band? Geoff Downes: As the band has changed personnel quite considerably over the last few years, it is not really a question that can be answered. Certainly, it will be very different without the late great Chris Squire, and his input will be sorely missed for sure. R&MIMB: In the band's history the artwork has always been a fundamental element. Why did you decide to give album covers so much attention? Geoff Downes: Roger Dean has always been synonymous with YES. His artwork merely underlines and exemplifies the spiritual and mystical nature of the music itself. R&MIMB: After the tragic death of Chris (Chris Squire), how did you find the strength to continue? Have you ever considered the idea of putting an end to your amazing career? Geoff Downes: It was tough of course, because Chris was such an integral element over the years, but it was his wish that the band continues into the future and hopefully we are continuing that legacy. R&MIMB: Now let's talk about your last tour (the one where you proposed the entire track list of "Drama" and "Fragile"). Particularly about Drama: it is one of the most controversial albums you've ever released (for music critics and general opinion). With the exception of the supporting tour, why have you never played any track of "Drama" live? And why did you take this decision after 36 years? Geoff Downes: That's not exactly true, as Machine Messiah & Tempus Fugit have been played over the years by various lineups. However this was the first time the album has been performed in its entirety. It's something many fans of that album have been asking for some time. R&MIMB: In the transition between the '70s and the ' 80s, your sound changed. Why? R&MIMB: Can you tell us about a live concert you are particularly fond of and why? Geoff Downes: Can't forget the 3 consecutive nights we played at Madison Square Garden, NYC in 1980. That was a trip! R&MIMB: In recent years we have seen the record market grow, but above all the return to "old school" supports, like vinyl records. What do you think of this "return to the past"? Geoff Downes: It's more of a retro/nostalgia trip than anything else I guess. It's not changing the world of music, but more I would equate with collectors of vintage cars not changing the motor industry. R&MIMB: Today technology allows you to buy digital music in a simple and fast way; how important is it for you to buy "physical" LPs and CDs to keep in your collection? Geoff Downes: I still like the hard copies. Digital downloads seem so impersonal, and I think it discourages people from appreciating albums as a whole. R&MIMB: Apart from the new album, what are the future projects of the band? Geoff Downes: The appeal of bands such as Yes is predominantly in the live setting. This is unlikely to go away hopefully, so the band will continue onward for as long as there are people who want to see us perform! R&MIMB: People say "never too old to rock and roll" (and, for Prog, obviously). Do you agree with this statement? Geoff Downes: There is such a wealth of great music in the Progressive scene. Once the music is in your blood, you want to continue for as long as is humanly possible. R&MIMB: Do you follow today's music scene? Any advice for our readers? Geoff Downes: Not really. It doesn't interest me much. The great rock/pop songs were written in the 60's, 70's and 80's in my opinion and I've not personally connected with much of the trends since then. 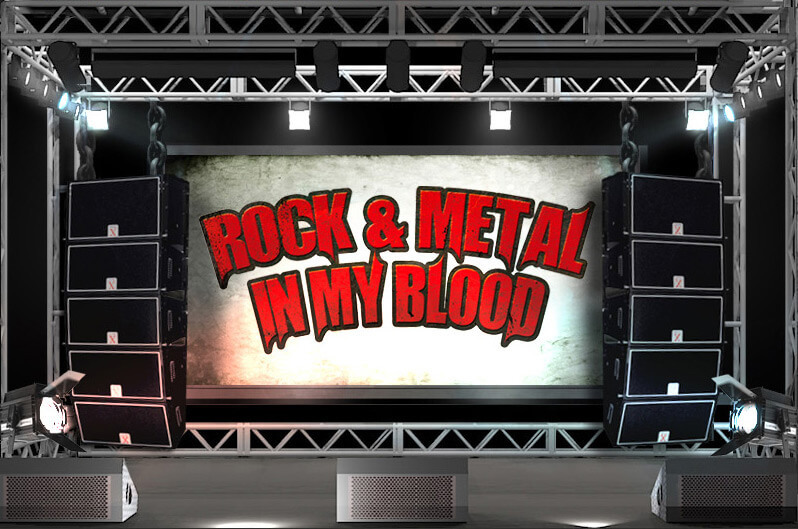 R&MIMB: Is there anything you would like to say to the readers of Rock & Metal in My Blood? Geoff Downes: Keep on rocking guys!